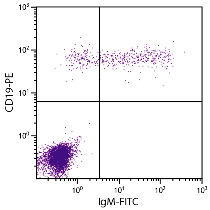 FLISA plate was coated with Rabbit Anti-Goat IgG Fab-UNLB (SB Cat. No. 6022-01) and Mouse Anti-Goat IgG Fc-UNLB (SB Cat. No. 6157-01). 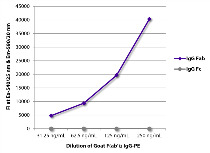 Serially diluted Goat F(ab’)2 IgG-PE (SB Cat. No. 0110-09) was captured and fluorescence intensity quantified.